Reminder: I have a new blog titled Lifelines. Love to have you visit me there. When you leave a comment and your email address on THIS post by 6 p.m. CT Tuesday, September 16, 2014 you'll be entered in the DRAWING for a copy of the book below. If you mention in your comment that you’re a follower (see in the left column “Join This Site” and “Follow by Email”), I'll add your name a second time in the drawing. You must have a U.S. mailing address to receive a paper book. You can read details about my book giveaways at Disclaimers. While a large, floppy straw hat is her favorite, Ane Mulligan has worn many different ones: hairdresser, legislative affairs director (that's a fancy name for a lobbyist), drama director, playwright, humor columnist, and novelist. Her lifetime experience provides a plethora of fodder for her Southern-fried fiction (try saying that three times fast). She firmly believes coffee and chocolate are two of the four major food groups. President of the award-winning literary site, Novel Rocket, Ane resides in Suwanee, GA, with her artist husband, her chef son, and two dogs of Biblical proportion. Welcome Ane. If you could have dinner with one person from today or history (except Jesus) who would it be? This was really hard. I vacillated a lot before settling on Carol Burnett. She has always been someone I admired. I loved her humor and she showed me how to laugh at myself. Please tell us a little about your novel, Chapel Springs Revival. Basically, it’s a romp through miscommunication in marriage, but with a friend like Claire, you need a gurney, a mop, and a guardian angel. Everybody in the small town of Chapel Springs, Georgia, knows best friends Claire and Patsy. It's impossible not to, what with Claire's zany antics and Patsy's self-appointed mission to keep her friend out of trouble. And trouble abounds. Chapel Springs has grown dilapidated and the tourist trade has slackened. With their livelihoods threatened, they join forces to revitalize the town. No one could have guessed the real issue needing restoration is their marriages. With their personal lives in as much disarray as the town, Claire and Patsy embark on a mission of mishaps and miscommunication, determined to restore warmth to Chapel Springs —and their lives. That is if they can convince their husbands and the town council, led by two curmudgeons who would prefer to see Chapel Springs left in the fifties and closed to traffic. Marriage takes work—work in communication certainly, but instead of a “Lord, change him” attitude, a “Lord, change me” attitude works best. That and if you continue to look at your spouse’s bad habits, soon those are all you’ll see. Scripture tells us we can’t get sweet and bitter water from the same well. I can be found on my Southern-fried Fiction website, Google+, Facebook, Goodreads, Twitter, and Pinterest. Where can readers purchase Chapel Springs Revival? On Amazon and the Nook version can be found here. Thanks for having me, Jo. I hope your readers will find reading Chapel Springs Revival like coming home. 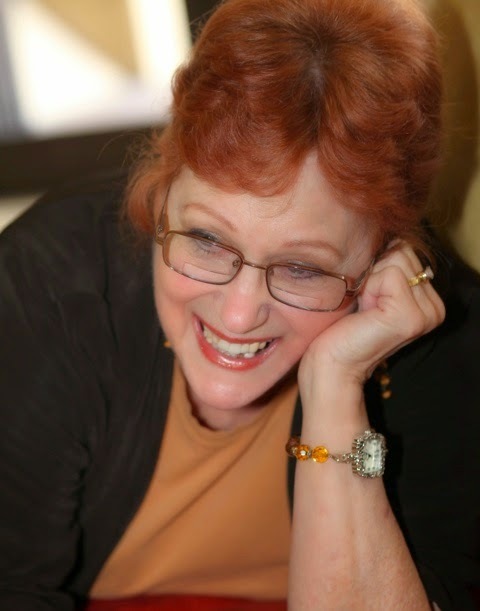 Gina Holmes, award-winning author of Crossing Oceans and Wings of Glass, said, “With the charm of the Mitford Series, the humor of I Love Lucy, and the heart of Andy Griffith's Mayberry, Ane Mulligan's Chapel Springs Revival is sure to be a hit with fans of Debbie Macomber and Jan Karon. Reading Chapel Springs Revival is like coming home to the place you wish you were from, to the friends you know and love." The winner of last Thursday’s blog post for a copy of Malevolent Tide: a Christian Thriller by R.H. Rauschenberger is Melanie B. I’ll email you. Thanks all for commenting. Watch for more book giveaways. Thank you, Patricia! You're so sweet! Hope you get a good laugh! Patricia, I see your hand waving. Thanks for coming by and leaving your comment. Chapel Springs Revival sounds like a must read! Thank you Jo! Melanie, you're welcome. Lots of folks have been waiting on this book. Thanks for leaving your comment. Deanna, I appreciate your now following my blog!! Glad you enjoyed the visit with Ane. And I see your email address below. Thanks for leaving your comment. I love crazy fun characters. Doesn't the cover make you want to step inside the book? PS I also follow your blog. Kelly, whichever of our blogs--Ane's or mine--thanks for following! Glad you left your comment. Chapel Springs Revival sounds like an awesome book, I love small town settings with fun characters. Merry, small town settings are great and most do have their unique characters. Thanks for following my blog! Raelee, glad you stopped by and left your comment. Thanks for reading my blog! Thank you, Raelee! I'm sorry I'm late commenting. Yesterday was my book launch party here in town and it was wildly fun! Janet, thanks for reading my blog! So glad you left your comment. Jo, I thought I had commented on Ane's book earlier this week, but I don't see it. I met Ane at BRMCWC in 2007. ACFW folks were supposed to meet in the cafeteria and I emailed and said, "How will I know you, Ane?" Her answer, "You'll spot me right away with my flaming red hair." And I did. I'd love to have a copy of her book. I have been a follower and received your emails for a long time. annknowles03@aol.com Thanks for sharing Ane with us. Ann, you left a comment on my new blog, Lifelines, and that may be what you're remembering. Thanks for coming by and leaving your comment. So glad you follow by blog!